The Simulation Cache Proxy node allows the scrubbing and previsualization of a previously exported Simulation Cache and can display the layer deformations applied from the Simulation Cache Layout. It should allow to display / edit comfortably a few thousands of entities. However for heavy scenes, import and display could be more demanding and make framerate drop under a few fps. Previsualization of an exported Simulation Cache using the Simulation Cache Proxy. To be able to use the Simulation Cache Layout node, a Simulation Cache must have been exported first. A Simulation Cache Proxy node is automatically created when a simulation is exported using the Simulation Exporter Tool. Toggle between Simulation and Cached Replay: (for Simulation) / (for Cached Replay). Simulation Mode: this is the default mode when no Simulation Cache Proxy node exists in the scene. 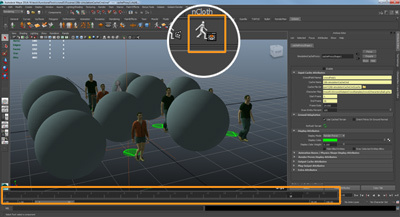 It allows to compute the crowd simulation, evaluate behaviors and triggers and export the results as a Simulation Cache. Cache Replay Mode: this is the mode which is enabled when a Simulation Cache Proxy node is created in the scene. It allows to preview a previously exported Simulation Cache and can display the layer deformations applied from the Simulation Cache Layout. 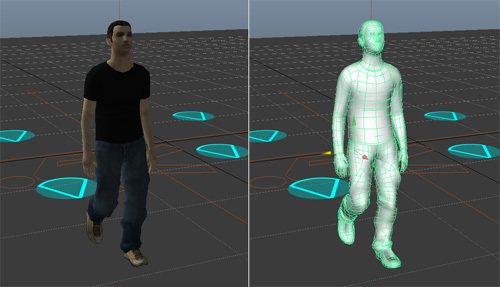 If the Simulation Cache Proxy is created in a scene where a crowd simulation has been exported or from the Simulation Cache Library, most of the following parameters are automatically filled but are editable if needed. By default, most of the Display and Terrain Attributes are connected to the Simulation Cache Proxy Manager Attributes but are editable per node if needed. By default, those attributes are connected to the Simulation Cache Proxy Manager attributes. Frame Current frame to display. Floating frames are not supported in the Simulation Cache Proxy display but are supported at render time. Draw Entity percent Only draw a given percent of entities to save display time. Source Terrain File path to the terrain geometry which has been used to create the Simulation Cache Files. The Terrain geometry file is automatically exported the first time a simulation is exported in a new directory. This file can be updated using the Export Source Terrain below. 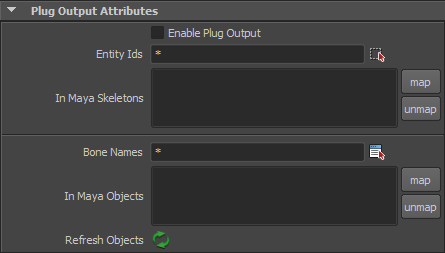 Notice that the Plug Output Attributes does not work in Maya batch. You can use the glmSimulationCacheTool as an more performant and batch enabled alternative. Bone Names Name of the bones which will be detached or attached. Separate the Names with , or use * for all. 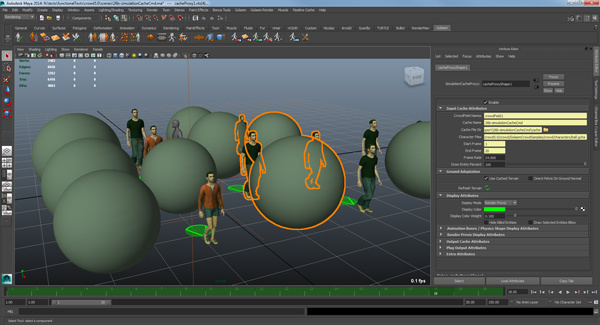 Use the button to open a window with the name of all the available Bones for the Character Files loaded in the scene. 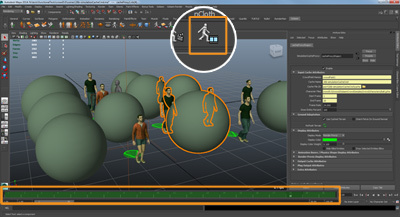 Refresh Objects Use this button to refresh the connection between Maya objects and skeletons and the Plug Output Attributes. It must be called eveytime a change is made in the above attributes.